I've always like the concept of the random act of kindness, the kind that pushes you out of your comfort zone. A couple years ago I created mini artwork pieces and left them on the bulletin board for people to have. 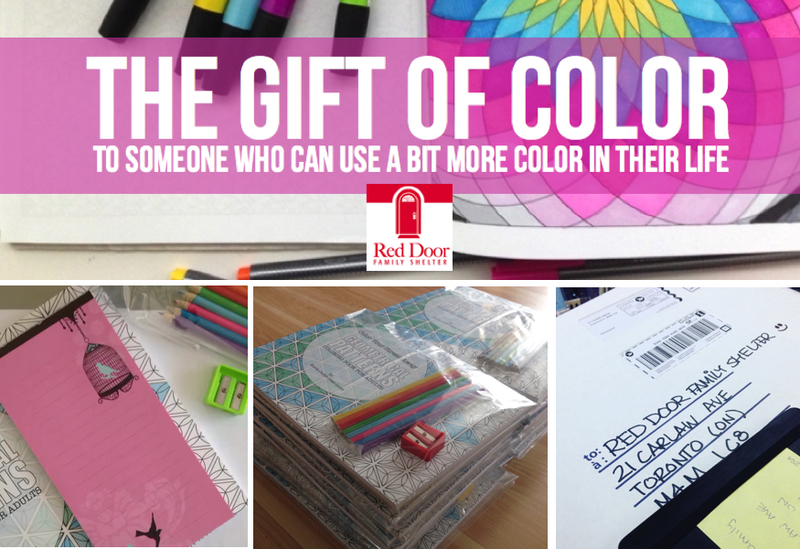 Recently I decided to donate coloring books to a women shelter and then extended that offer to a local family shelter by creating a Go Fund Me Campaign. It was a little nerve racking because I'm not the kind of person who asks for help, let alone donations, but I figured it would enable me to give a little more. So I ran the campaign and was able to raise $210 to go towards more coloring books, a little handwritten note from me as well as colored pencils and sharpeners. I just sent the first packaged to the shelter in Toronto and will be sending the second one on its way to Ottawa shortly. I really hope this brings whoever receives them some joy and positive energy, but it's out of my hands now. I did my part and I'm glad I didn't listen to that voice that always tries to dissuade me from doing something different, even though it's a nice thing to do. How silly is that?